I believe this is the most profound and inspiring booklet I have ever written. John was called the one whom Jesus loved. When Christ was on Earth, He probably spent more time with John than any other apostle—including Peter. Do you know why? John was apparently the only apostle not to be martyred. He didn’t write his Gospel until about 30 years after Christ’s death. Later he wrote his epistles. He also wrote the book of Revelation while he was imprisoned on the isle of Patmos. 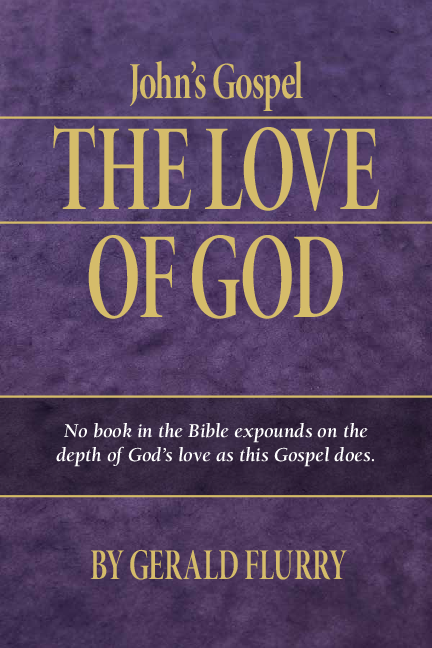 John’s Gospel discusses many foundational and deep subjects the other Gospels don’t. He was the only writer to explain who the Word was and why His sacrifice should inspire us forever! No Gospel writer describes the God Family vision as John does. Only John discusses these subjects: the mighty I AM and who He really was; the resurrection of Lazarus and how it relates to your incredible human potential; the Samaritan woman and what she means for the world; why Jesus wept, which even most of God’s own people don’t understand. I believe you will be joyfully stunned when you understand these mind-gripping subjects. You need to read and study this powerful message. If you do, it will help you mightily in building God’s joy in your life.